Our friends at Lion Music are always on the lookout for new talent, especially in the field of progressive metal. With Hungary's Dreyelands, and their debut Rooms of Revelation, they've discovered some impressive and promising talent. Traversing between the sounds of Dream Theater and Symphony X, Dreyelands works with ambitious and grand compositions blending near AOR accessibility in melody and vocal arrangements with the strength of, sometimes heavier, power metal. Throughout, Rooms of Revelation is blessed with amazing lead vocals and varied and soaring guitar solos. Additionally, as within Way to You and Blossoms of Decay, Dreyelands weaves acoustic guitar and piano for a mysterious, melancholy effect. All this fits the concept behind Rooms of Revelation: the story of a schizophrenic mind of man wondering why all his lovers are lost to death. Using the metaphor of the man exploring the man rooms of a house, our subject finds that it his own sinister second nature betraying, not only his lovers, but himself. He determines the remedy to this menacing danger, played out in the final song Leaving Grace, is to end this wicked mind by ending his own life. A challenging concept, yet through the course of the impressive musical scores and excellent musicianship, Dreyelands keeps you entertained and intrigued. The field of progressive metal is filled with many bands, from average to epic, and on Rooms of Revelation Dreyelands enters the fray with a strong performance, equal to their forbears and peers. Quite recommended! 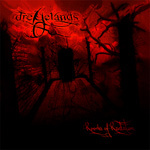 The field of progressive metal is filled with many bands, from average to epic, and on Rooms of Revelation Dreyelands enters the fray with a strong performance, equal to their forbears and peers. Quite recommended!